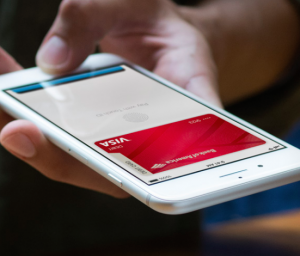 Analysis: Apple Touts Growth, as It Releases First Global Transaction Figure for Apple Pay; but Service Continues to Face Challenges | NFC Times – Near Field Communication and all contactless technology. Apple said its payments service generated more than 1 billion transactions during the quarter ending in June, believed to be the first time that the tech giant has released a global transaction figure for Apple Pay. While this represents progress for Apple Pay, the top mobile payments service outside of China, the 1 billion-plus transactions for the quarter ending in June still account for a minuscule share of total card transactions. That is nearly four years after Apple launched its landmark digital payments service. In addition, while the planned rollout of contactless acceptance by two major U.S. merchants, CVS Pharmacy and 7-Eleven, will add nearly 18,000 locations in the U.S., the country continues to lag in adoption of contactless payments, as compared with other developed markets, as NFC Times reported this week. Moreover, Germany, while by far Europe’s largest economy, is not a promising market for the international OEM Pays, including Apple Pay.